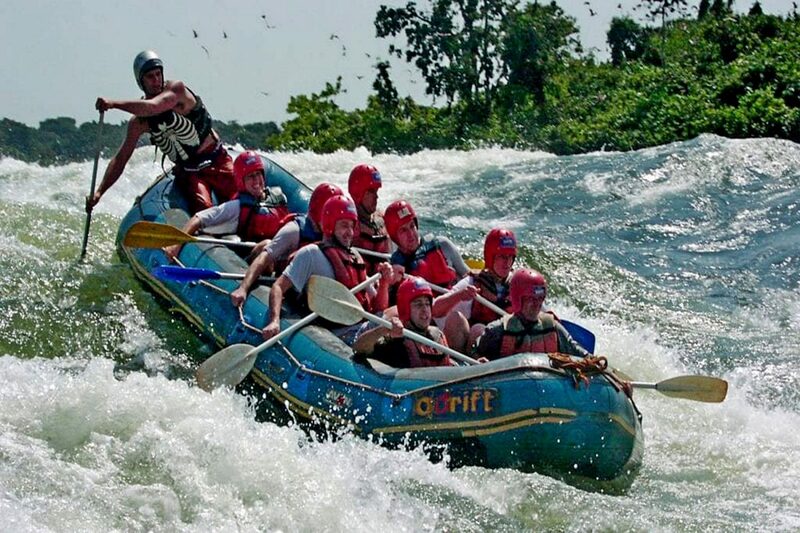 12 Days Best of Uganda Group Tour 16th – 27th Feb 2020 is a guaranteed seat-in group tour that is designed to make you save big while you enjoy the company of other fellow travelers. We have both fixed and flexible group tours. 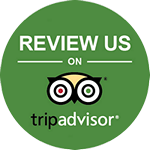 Fixed group tours are those that already have travelers booked on and you go by their dates and itinerary. 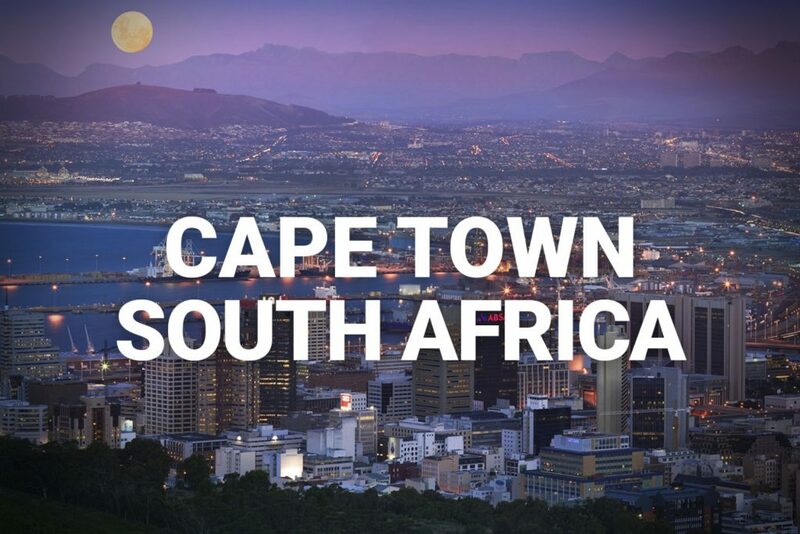 Flexible group tours are those that you can create yourself with the desired itinerary, dates and request it to be promoted as a group safari in order to save on costs of a private trip. This has to be booked at least 6 months in advance in order to give us time to sell it. 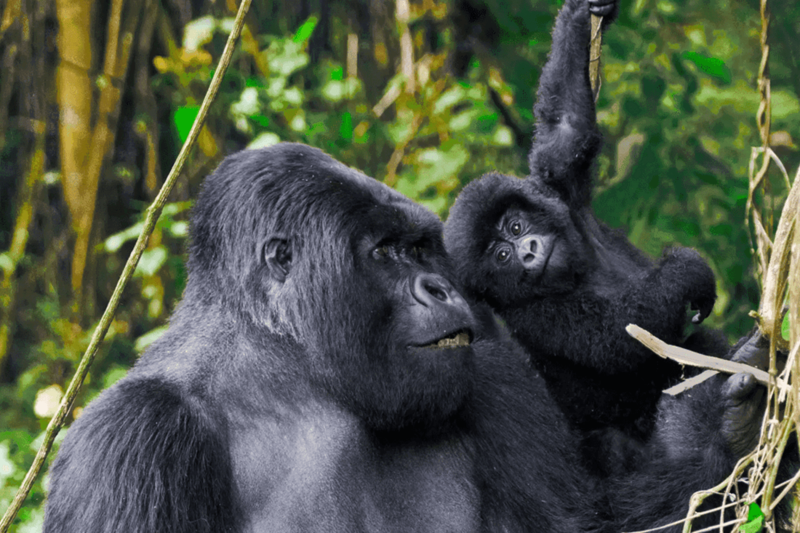 3 – 6 pax – $1,950 + the cost of the gorilla permit and the chimp permit. For other categories, fill the enquiry form! Group trips depart monthly across Uganda, Rwanda, Kenya, and Tanzania. Prices are based upon two people sharing and are all inclusive, no hidden charges. The more people that join the cheaper the prices, so let your friends know! 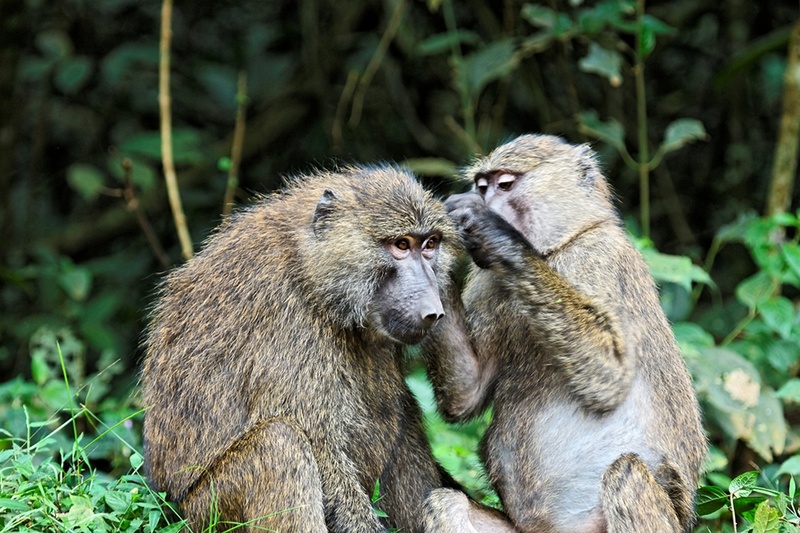 Save money by sharing the cost while getting to see the best of East Africa. 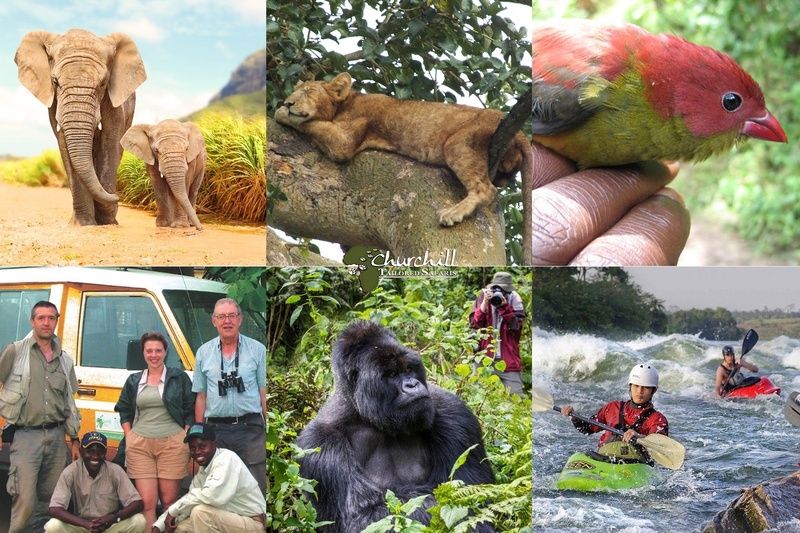 All our group safaris are guaranteed and the rates are the same from 3-6 pax. To make an enquiry about this trip, to book or to receive a personalized rate, please fill in the enquiry form (top right or below [depends on you’re screen size]) and we will be sure to get back to you ASAP! Arriving at the airport you will be warmly welcomed by a Churchill Safaris representative, and transferred to your hotel in Kampala or in Entebbe depending on your flight arrival time. If you arrive very late in the night, we recommend you overnight in Entebbe as opposed to kampala. City Tour: Depending on your time of your arrival explore the vibrant and chaotic city of Kampala. Discover historical and political sites including the ancient tombs of the Kabakas, where the Buganda tribe laid their kings to rest or the Bahai Temple, etc. 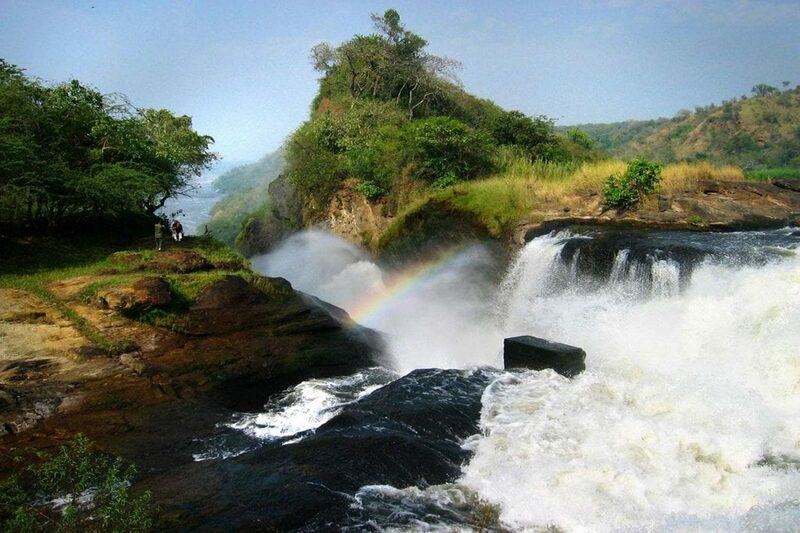 Activities for the day: Transfer Kampala – Murchison falls, lunch and visiting the Top of the falls. After breakfast, you will depart kampala or Entebbe for Murchison Falls National Park, with an option of stopping at Ziwa Rhino sanctuary and en route for lunch and arriving in the evening. In the evening, you will visit the incredible Top of the falls and later proceed to your lodge in the evening for the overnight. Accommodation: Overnight at Red Chilli Rest camp. 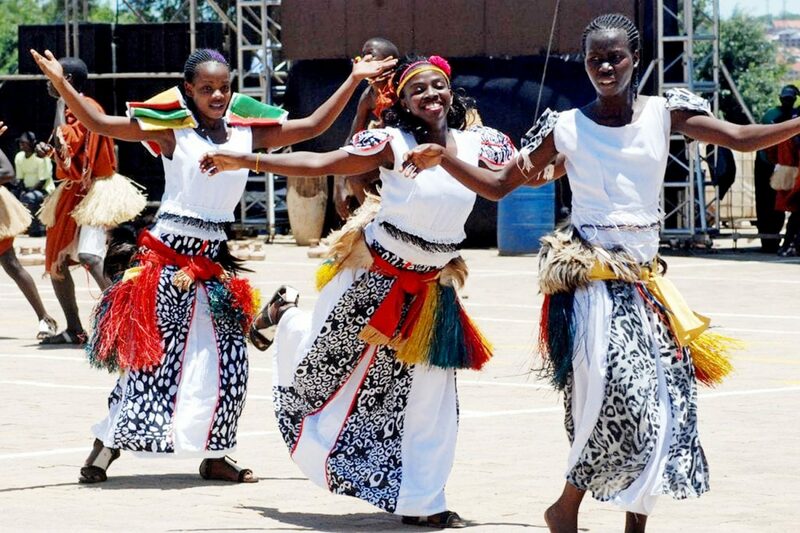 Activities of the day: Visit the top of the falls, then transfer to Hoima passing via Butiaba, lunch and overnight in Hoima. 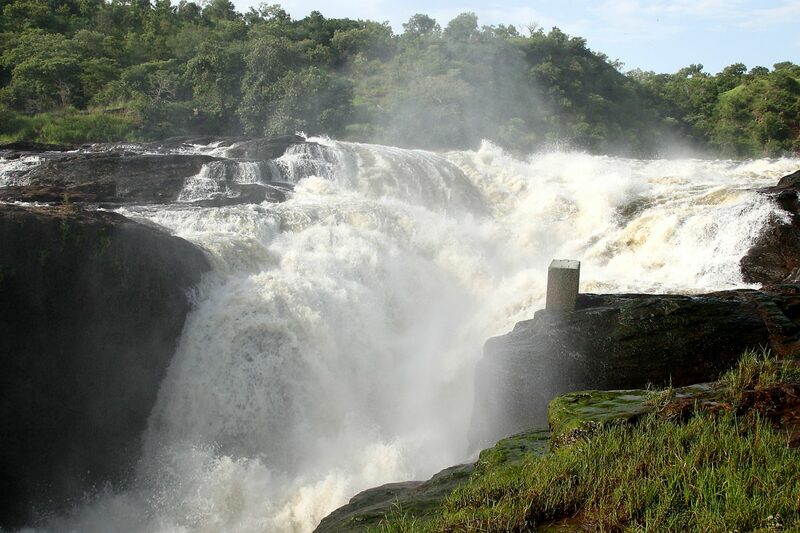 This morning you will visit the top of the falls and later proceed to Hoima to cut down the long drive to kibale passing Butiaba to view the beautiful landscape of Lake Albert, visit the Kibiro hot springs if desired arriving in the afternoon. 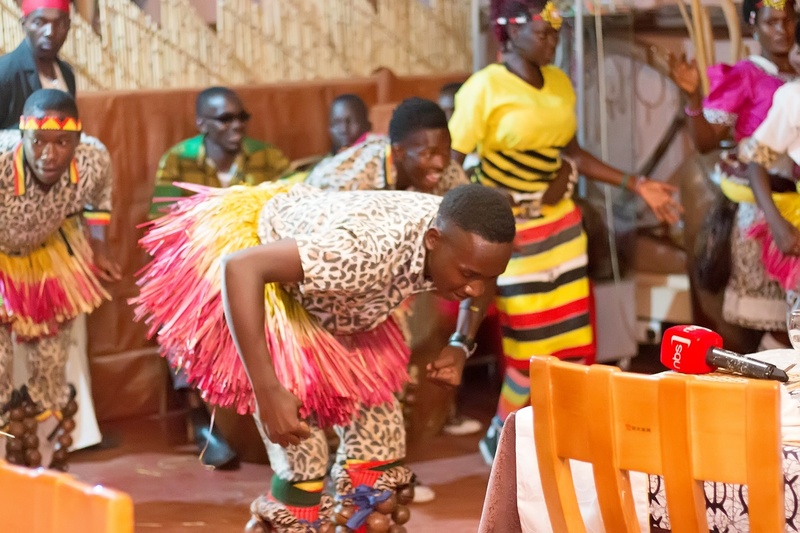 While being entertained by one of the cultural groups, you will have dinner and overnight at Hoima Cultural Lodge. Surrounded by beautiful vast gardens, Hoima Cultural Lodge is a perfect break from the 9-10 hours drive on the dirt road between Murchison falls and Kibale which helps clients rejuvenate for the rest of their journey. The lodge offers spacious en-suite grass thatched cottages ideal for couples and families with each room brightly colored and furnished with African Art pieces which give clients an African feel. While at the lodge, we offer clients cultural activities like visiting the palace, participating in making pottery, the Mparo Tombs, giving clients a chance of participating in cooking the local African cuisine if desired, engaging in activities such as Cultural dancing, interacting with the local community and talking to them about the Bunyoro culture. Clients may choose to take pleasure in relaxing in the beautiful gardens thereafter proceeding to their next destination. Activities of the day: Breakfast, transfer to Kibale, packed lunch enroute and afternoon bigodi swamp walk. This morning you will have breakfast and then proceed to Kibale forest for one night. Kibale is home to an extraordinary thirteen species of primates, including chimpanzees, red colobus, and L’Hoest monkeys. Kibale National Forest has also recorded over 355 bird species, and a range of other mammals including the elusive forest elephant. Later in the evening you will have the opportunity to visit Bigodi Wetland Sanctuary, which is rich in bird species, vegetation, and wildlife. This is also a great opportunity to support local tourism initiatives which benefit social and economic development in the area. Crater Lakes Hike: Formed by ancient volcanic activity, the crater lakes of Uganda are located near Fort Portal, and are a great hiking option. Typical hikes take you through local villages and tea plantations, to the base of several of these incredibly serene and beautiful lakes. With the Rwenzori Mountains in the background, this is by far one of Uganda’s most peaceful and extraordinary sights. Activities of the day: Morning chimpanzee tracking, lunch & transfer to Queen Elizabeth National park. This morning you will go for Chimpanzee tracking along the network of forest trails. Seeing habituated chimps squabbling and swinging from the trees is an exhilarating experience. Spend the morning in the forest returning to the lodge in time for lunch before you proceed to Queen. Later drive to Queen Elizabeth National park for two nights in Queen Elizabeth National Park, which boasts one of the highest biodiversity ratings of any game park or reserve in the world. 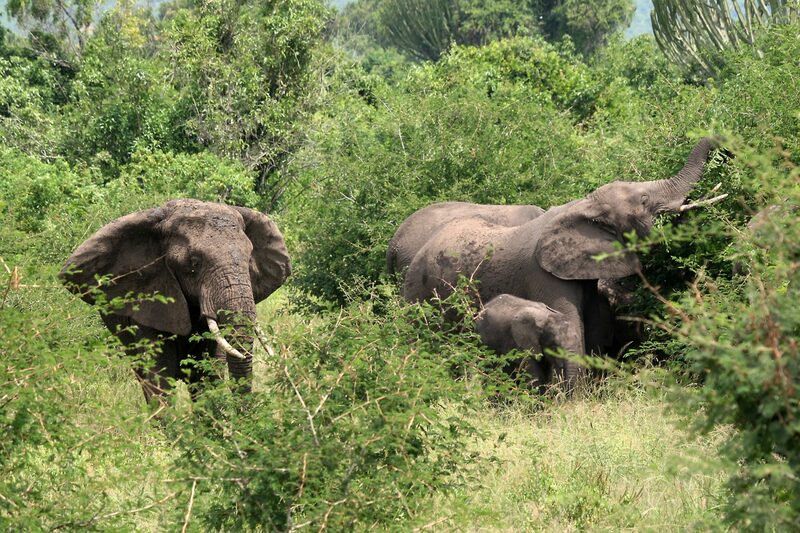 Uganda’s second largest National Park, the 1,978 sq km has everything from open savannah to rain forest. Queen Elizabeth has over 100 mammal species, and an astounding 606 bird species, making it a premier safari destination. Arrive in the evening and overnight at your lodge. 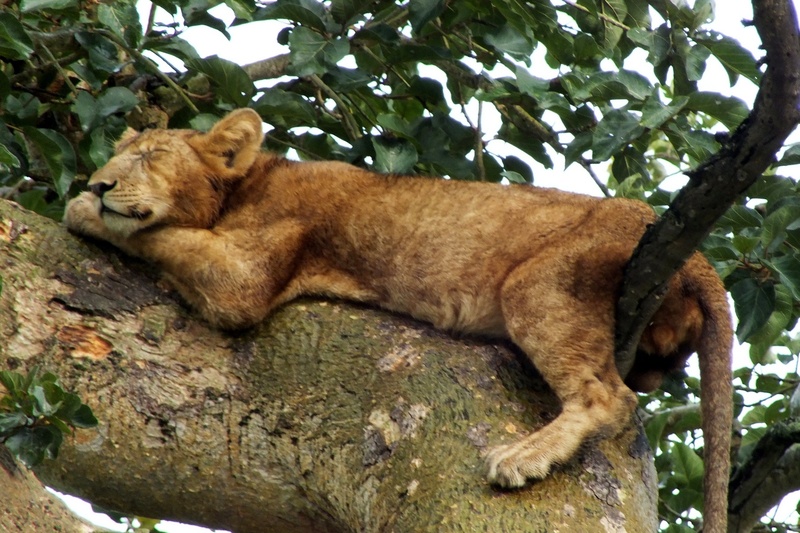 In morning, you will have a game drive to the Kisenyi area to look for lion prides and other wildlife like the Uganda Kob, before returning to the Lodge for breakfast. In the afternoon take a cruise along the Kazinga Channel, home to one of the largest concentrations of hippopotamus, as well as herds of elephants, buffalo, and other wildlife that come to drink from the river. 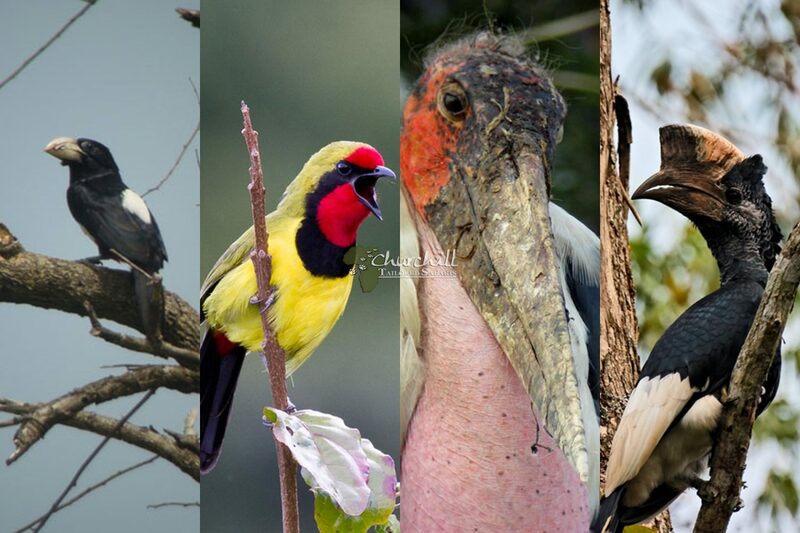 The Kazinga also attracts a tremendous variety of bird species including the African Eagle, Open-Billed Stork, and Pied Kingfishers. Activities of the day: Morning game drive then proceed to the southern part of the park & evening game drive. Today you proceed to Ishasha, home to the famed tree climbing lions. The lions are located in the Southern sector of Queen Elizabeth National Park, and are best seen in early hours of the morning. Have a game drive before stopping for lunch, and another game drive in the afternoon before dinner. Accommodation: Budget: Ishasha Jungle Lodge. Activities of the day: Morning game drive in search of tree climbing lions, later transfer to Bwindi. Today you will continue to Bwindi Impenetrable Forest for two nights. Home to over half of the world’s mountain gorilla population. Interacting with these gentle giants is one of the most moving experiences that Africa has to offer and should not be missed! 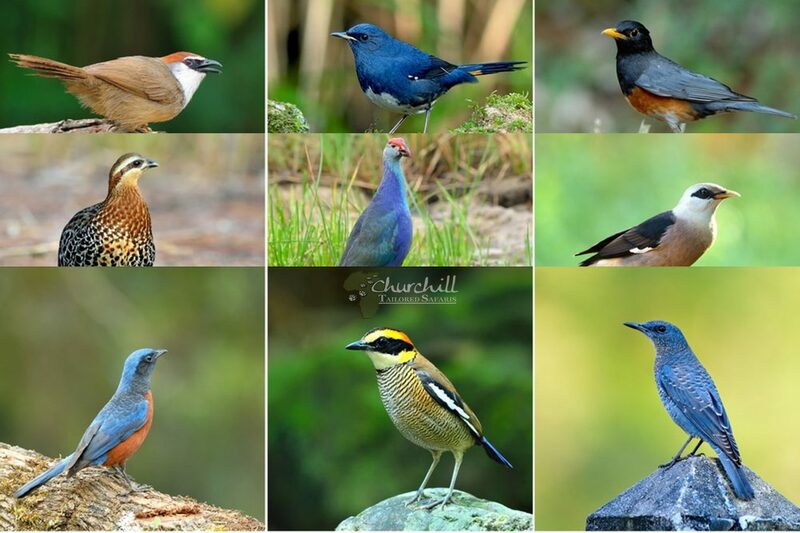 The ancient rainforest of Bwindi spans 321 sq km and boasts 90 mammal species, including a range of primates, as well as 23 Albertine Rift endemic bird species, including the African Green Broadbill, the Bar Tailed Trogon and many others. Activities of the day: Gorilla tracking for the day and possible optional activities in the evening. This morning you will set off for gorilla trekking. Hiking through the thick, verdant, rainforest to eventually come across the gorillas in their natural habitat, is an amazing and unforgettable experience. Actual trek times can vary; these are wild animals after all. If time permits there are a diverse range of activities which are unique to Bwindi which you can participate in during the afternoon. Overnight at Lake Mulehe Gorilla Lodge. Activities of the day: Breakfast, transfer Lake Mburo and afternoon game drive or other activities available. The adventure continues as you spend one night at Lake Mburo National Park. The 371 sq km park is an extension of the Tanzanian Plains and has distinctly different fauna compared to other Ugandan parks. 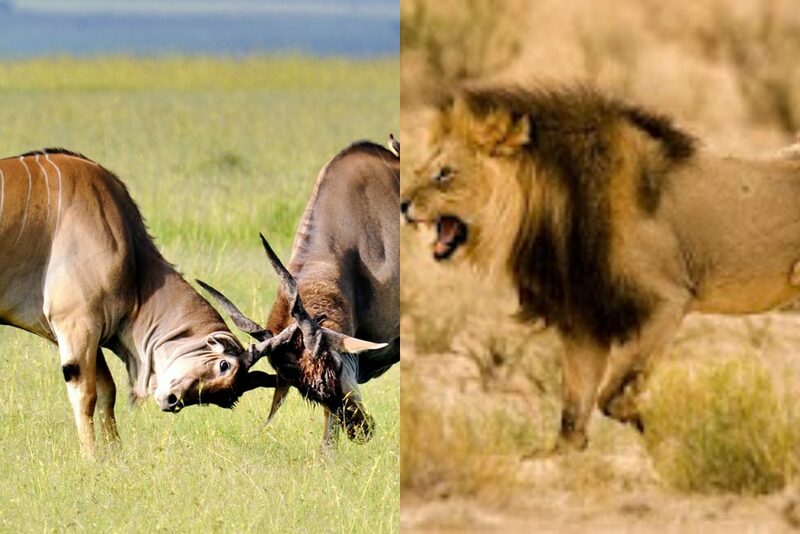 It is the best place in the country to see Eland Antelope, Zebra, Topi, Impala, and Acacia. The five lakes within the park attract hippos, crocodiles, and a variety of water birds, while fringing swamps hide black and yellow papyrus gonalek. Arriving in the park for lunch you can rest before exploring the park on game drive for the rest of the afternoon. Horseback Riding Safaris: What better way to explore the park than on horseback! Horseback riding safaris are available for various times and are suitable for all levels of riders including the non-experienced. Boat Safari: Take a cruise along Lake Mburo which is home to dense populations of hippos and crocodiles. This morning you will have breakfast and then proceed to Entebbe having lunch enroute. 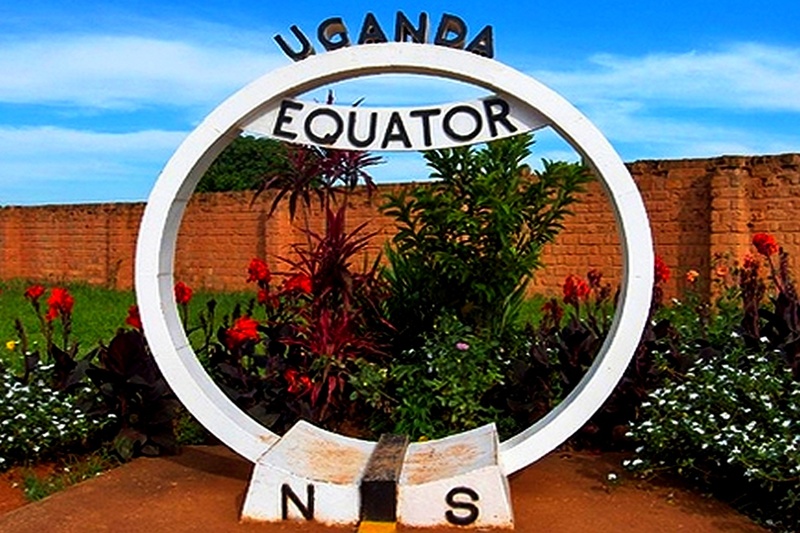 You will stop at the Equator-where you will be able to stand in both hemispheres simultaneously arriving in Entebbe in the afternoon and later catch your evening flight back home.